This is the moment that Shondaland fans have been waiting for. Never in the history of Shondaland has there been a real crossover (we’re not counting Grey’s Anatomy and Private Practice since those shows have always existed in the same world and shared characters). But it’s coming. It’s really coming. 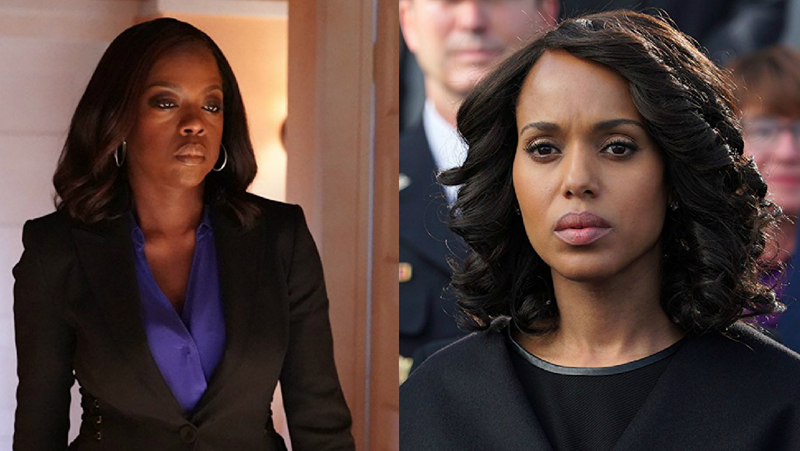 Shonda Rhimes has officially announced a crossover between her hits Scandal and How To Get Away With Murder. A sneaky shot of the script for the How To Get Away With Scandal reveals the moment in which the two main character, Olivia Pope and Annalise Keating, meet. The stars are already teasing this, too. Kerry Washington, who plays Pope on Scandal, Instagrammed a snap of herself, in costume, but on a familiar-looking set — she’s clearly on the set of How To Get Away With Murder. “Hey Ms @violadavis… check it out. This spot look familiar?! Where are you?” she wrote. Davis responded with her own shot, only this time, it showed her in full Keating costume for her role in How To Get Away With Murder, but posing in Olivia Pope’s office on the set of Scandal. “Hey @KerryWashington, guess where I am? !” she captioned the pic. There hasn’t been a date announced yet for when How To Get Away With Scandal will hit our TV screens, but both Scandal and How To Get Away With Murder return Thursday, Jan. 18. With this much hype surrounding this event, we’re sure we’ll find out all the details soon.